Granada in winter is like a living fairytale. The smell of roasted chestnuts wafts through the streets as snow drifts gently down from overhead. While it does get quite chilly compared to the rest of Andalusia (7 degrees Celsius is average during the day in December), it’s still one of the best times to explore. Here are five ways to make the most of Granada in winter for your most memorable trip yet. Skiing in southern Spain? Yep, you heard that right! 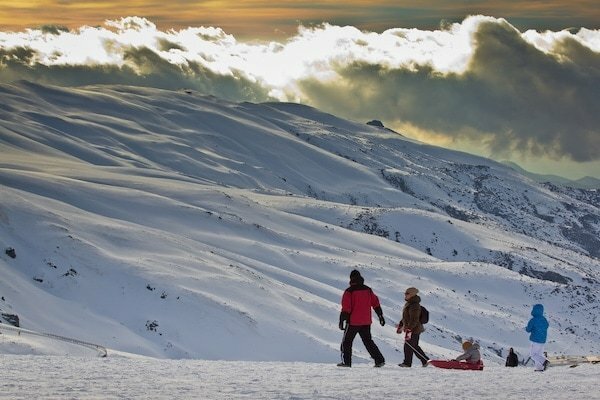 Europe’s southernmost ski resort is Granada’s own Sierra Nevada, located just 21 km southeast of the city. If you don’t have access to a car, buses leave Granada capital for the slopes several times a day and will set you back just 9 euros round trip. It’s a great experience for families, couples or solo travelers and one of the best ways to experience Granada in winter. 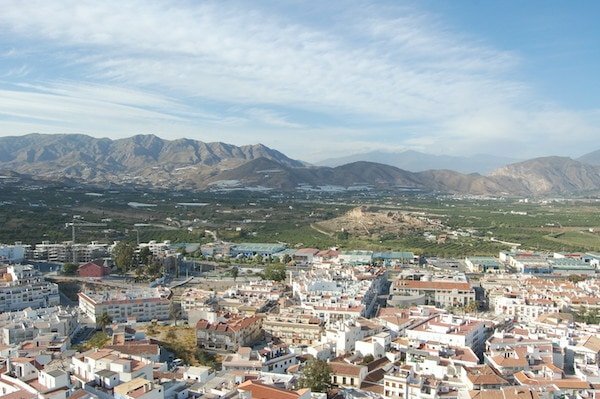 Granada might be one of the only places on earth where you can get from the ski slopes to the sunny beach in under an hour. Spain’s beautiful Costa Tropical lines the southern edge of Granada province. Less touristy than the coastlines of Malaga or Cadiz and more easily accessible than those of Almeria or Huelva, Granada might just be the perfect beach getaway in southern Spain. The idyllic fishing towns made of charming whitewashed houses that line Granada’s coast look just like a postcard. Even in winter, the relatively mild temperatures along the coast make for the perfect opportunity to explore these villages. It’s one of the best day trips from the city and the ideal way to spend a day away from Granada in winter. It’s nearly impossible to talk about winter in Europe without mentioning the picture-perfect Christmas markets. 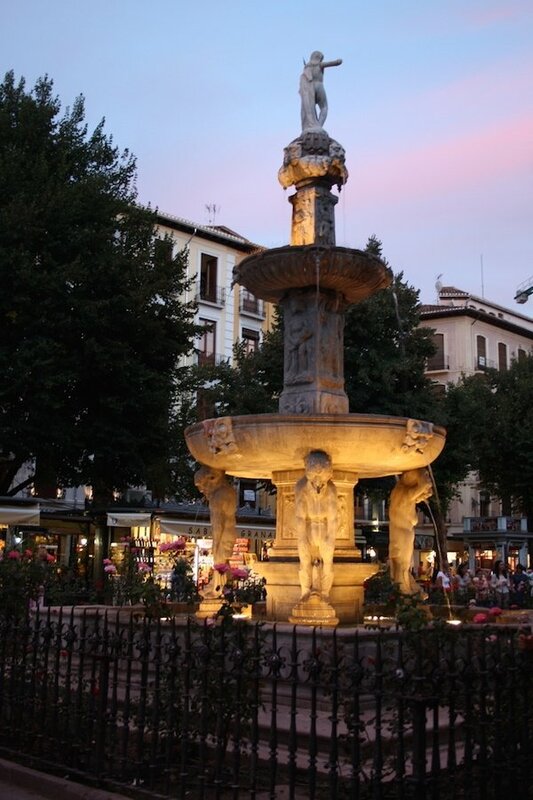 Granada has its very own in Plaza Bib Rambla in the heart of the historic center. Buy some piping hot toasted chestnuts and spend an afternoon wandering through the stalls. Another favorite tradition in Granada in winter is to visit the city’s belenes. These extravagant setups are more than just an average Nativity scene. In fact, the word belén translates to “Bethlehem.” Walk around town and marvel at the spectacular attention to detail in these little towns of Bethlehem. While you’re enjoying your paseo, don’t forget to check out Granada’s incredible Christmas lights as night falls over the city. More than 2 million tiny LED lights twinkle in the streets all over town! Plaza Bib Rambla is home to Granada’s Christmas market. There’s a reason why Spain’s shopping scene is one of the best in the world! High quality products at relatively low prices make for perfect holiday shopping. Head to one of Granada’s wonderful malls to escape the cold, or wander through the shops in the city center. For a personal touch, pick up some unique granadino souvenirs or even a local gourmet gift. 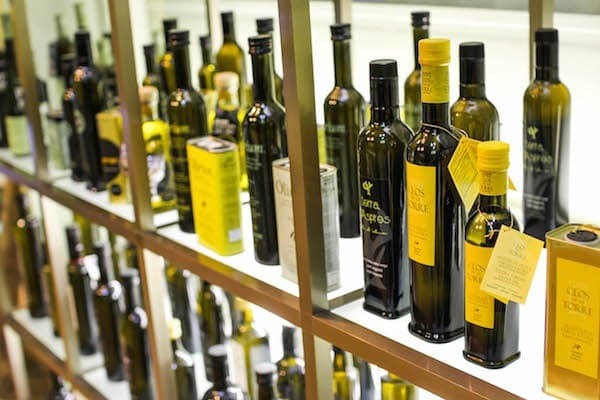 Olive oil: Andalusia’s liquid gold and a perfect gourmet souvenir for the foodie in your life. Madrid and Barcelona may get all the credit, but Granada is one of the best foodie cities in Spain. 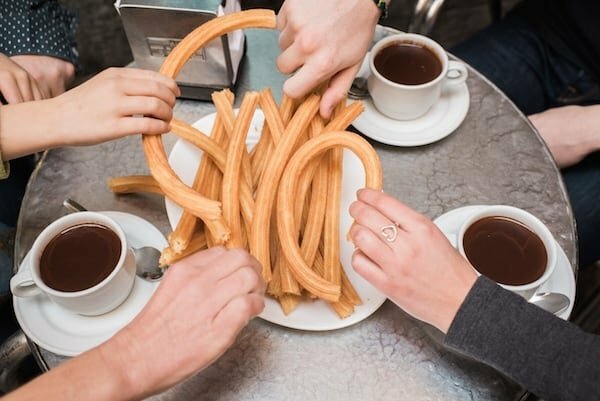 Warming up with some churros con chocolate is an obvious great idea when visiting Granada in winter, but there’s so much more to this city’s exquisite cuisine. Whether you take part in a unique foodie activity or just hit the town for tapas like a local, there’s plenty to do (and eat!) while you’re here. What better way to warm up than with piping hot churros dipped in rich hot chocolate?